The EPA recommends that you take action to reduce your home’s indoor radon levels if your radon test result is 4 pCi/L or higher. It is better to correct a radon problem before placing your home on the market because then you have more time to address a radon problem. 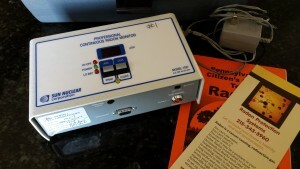 If elevated radon levels are found during the real estate transaction, the buyer and seller should discuss the timing and costs of the radon reduction. The cost of making repairs to reduce radon levels depends on how your home was built and other factors. Most homes can be fixed for about the same cost as other common home repairs, like painting or having a new hot water heater installed. A variety of methods can be used to reduce radon in homes. Sealing cracks and other openings in the foundation is a basic part of most approaches to radon reduction. The EPA does not recommend the use of sealing alone to limit radon entry. Sealing alone has not been shown to lower radon levels significantly or consistently. In most cases, Radon Protection Systems uses a method with a vent pipe(s) and fan(s) to reduce radon. Our “sub-slab depressurization” systems do not require major changes to your home. Similar systems can also be installed in homes with a crawl space. 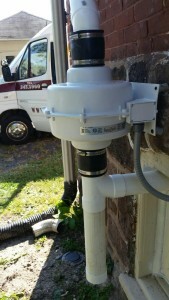 These systems prevent radon gas from entering the home from below the concrete floor and from outside the foundation. Radon Protection Systems may use other methods that may also work in your home. The right system depends on the design of your home and other factors. Techniques for reducing radon are discussed in the EPA’s Consumer’s Guide to Radon Reduction.